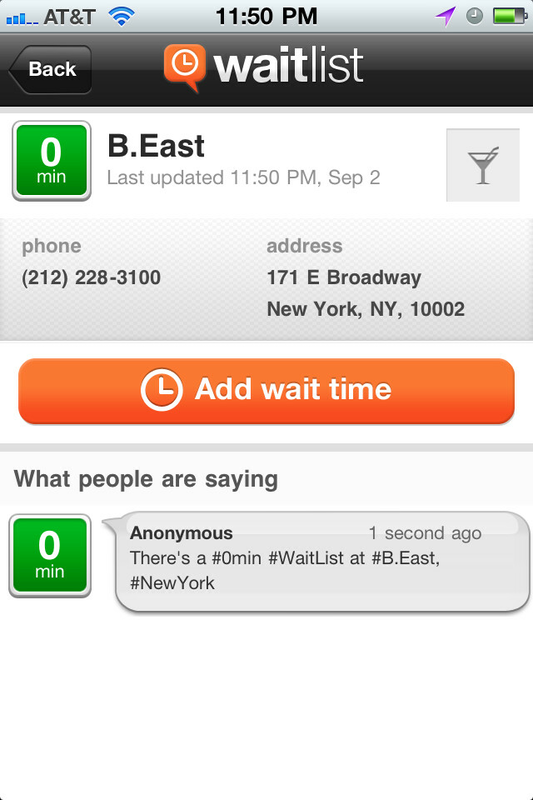 Created by The Onion, WaitList allows users to no longer depend on the whim of the hostess, or the crowd. By checking the app, they can see what the wait times are for businesses around them, or they can search for a specific establishment. Also, when they arrive at the given venue, they can edit the previously reported wait time. 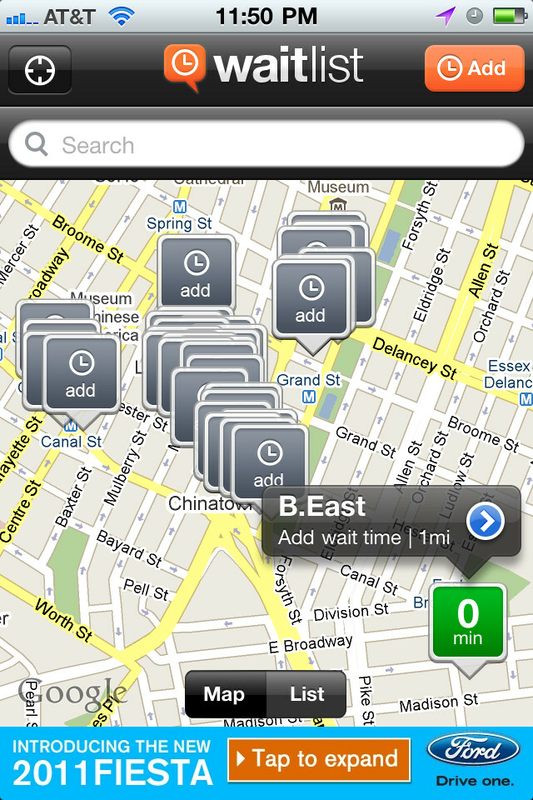 At the moment, the app might report inaccurate data, simply because there are too few users. As the app is free, and word will certainly spread, WaitList will soon offer a more accurate picture of wait times, enabling hungry/hurried people to make quick and informed eating decisions. I don't live in outer Mongolia, but I doubt this will offer me anything where I live. Maybe NYC, maybe LA, Chicago, SF. Probably not much elsewhere. Oh, it's The Onion, right? Is it April Fool's day?